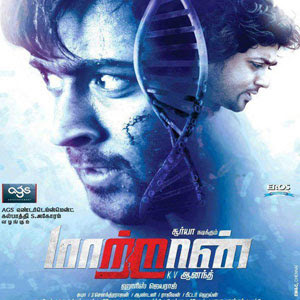 Actor Surya’s Maattrraan plot leaked on net? When Will Mahesh Babu's SVSC Hit the Screens? Successful South songs have often attracted Bollywood filmmakers and made them take inspiration from it. Be it movies or tracks, the Hindi film industry never loses out an opportunity to take the essence to cater the large audience. Now, a popular track of Kamal Hassan has inspired Rani Mukherjee's upcoming Aiyya. M Sasikumar, who shot to fame with superhit Subramaniapuram, is known for making critically-acclaimed movies. His most of the movies, be it his directorial movie or acted films, are subject-driven than commercial potboilers. So, his films often generate curiosity among audience. Now, the director-turned-actor is acting in Sundarapandian, directed by Prabhakaran, where he has played the title role. 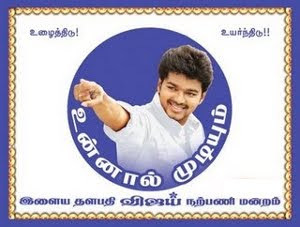 Like some of his earlier movies, the backdrop of Sundarapandian is Madurai. The unemployed hero is a big fan of Rajinikanth and a kind-hearted man too. He is willing to put himself in trouble for his friends. Sundarapandian's life will be running smoothly before his decides to help his friend played by Inigo Prabhakaran. Archana (Lakshmi Menon), who is loved by his friend, starts liking him and it is followed by the death of his friend. How their love progresses and the faces of friendship-betrayal form the crux of the remaining story. In the first half, there is enough comedy to entertain and the story runs on a good pace. The director constructs the foundation in the first half and tells the nature of his characters. Though the initial progress of the story reminds us of Naadodigal, it takes a twist with an unpredictable scene. Nonetheless, friendship and betrayal, like his earlier movies, are part of his tale. It is wonderful too see things changing around. However, the second half is predictable at parts and there are some boring moments. However, the climax makes up for all the losses and makes it worth a watch. Sasikumar has done an amazing job as an actor. Be it in comic scenes or action sequences, he leaves a lasting impression. He is backed by Lakshmi Menon, who wins the heart of the audience. Soori is good, Inigo Prabhakaran Vijay Sethupathi, and Soori have done complete justice to their roles. Technically, NR Ragunanthan's music has to be praised and Prem Kumar's cinematography is excellent. Director Prabhakaran has made a decent start. Last but not least, dialogues are good. Kollywood sources say that the director of Singam 2 is approaching Nayanthara to perform an item dance with Surya. Dhanush has updated on two of this important projects - Mariyaan and Raanjhana. The star said that while the last schedule of Mariyaan will start from October onwards, they are 15 percent through with Raanjhnaa. 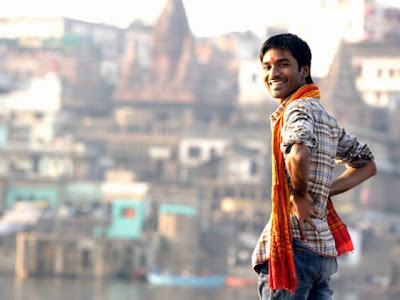 Currently in Kasi to shoot for Raanjhnaa, Dhanush said that working with director Anand L Rai is a wonderful experience and also lauded the director for being a wonderful human being. Interestingly, Raanjhnaa will be this National Award winning star's first Bollywood flick and he is excited about it. Bollywood actress Sonam Kapoor plays the female lead in this film. Producer Dil Raju has confirmed the release date of Seethamma Vakitlo Sirimalle Chettu! Yes, according to the ace producer, the film will hit the screens on December 21st and the team is working towards it. SVSC is a multi-starrer having Mahesh Babu, Venkatesh, Samantha and Anjali in the lead roles with Prakash Raj, Jayasudha, Murali Mohan and others included in the star cast. The film is directed by Srikanth Addala with Mickey J Meyer scoring the music. Aditya Music has bagged the music rights and the audio launch is expected to happen anytime soon, say sources.